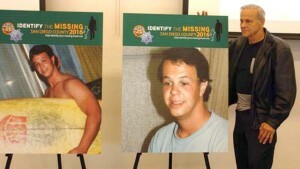 Then last month, a San Diego County medical examiner investigator went to Nellans’ El Cajon home to notify him that his son’s DNA matched a body found in a wooded area of Clairemont in 2000. “I knew I was never going to see him again, but this gives me some closure,” Nellans said. Nellans filed a missing persons report, but never entirely gave up hope. “We just want to protect our babies and hope they will grow up and be safe,” he said. Nellans said he and his ex-wife submitted DNA samples in the 1990s, then again in 2005 when his daughter also submitted a sample. 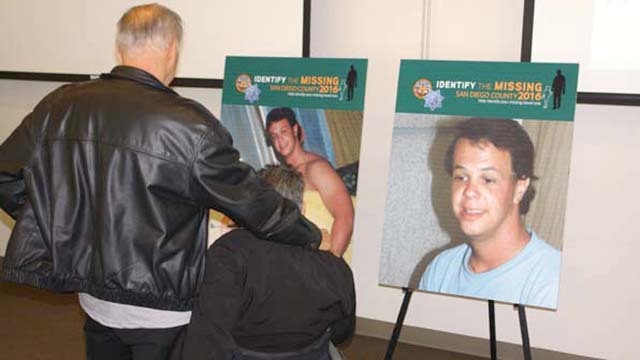 In hopes of helping families like Nellans, local investigative agencies are teaming to hold the first San Diego Identify the Missing Day from 9 a.m. to 3 p.m. Saturday, March 19. Relatives of the missing are encouraged to come to the event, hosted at the San Diego County Medical Examiner’s Office at 5570 Overland Ave. in Kearny Mesa. Medical Examiner investigators and law enforcement missing persons investigators will be available to help families update existing missing persons cases and take new reports. The event is free and available to family members from the San Diego region, other neighboring counties and Mexico. Missing person cases have no boundaries since sometimes relatives only know a general region where their family member went missing. 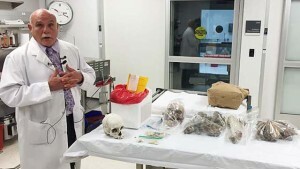 Biological family members may provide cheek swab DNA samples to be included in reports, which will be compared in a national database of missing persons and unidentified dead. Investigators also ask family members to bring in dental or medical records such as X-rays, photographs or DNA from the missing person that may be contained in a hairbrush or toothbrush. 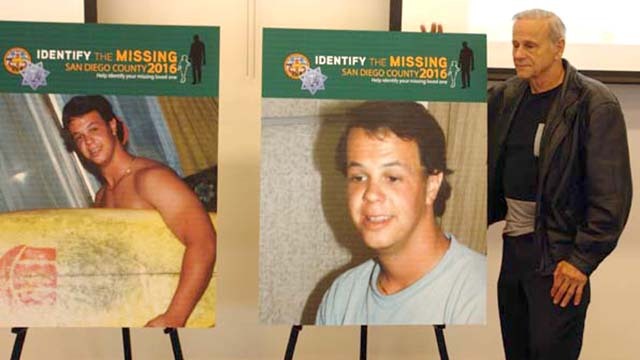 In San Diego County, 3,175 active missing persons cases date back to 1958. Many of those cases were reported by families like JP Nellans’ — waiting for any word on the fate of their loved one. Some of those missing people could have disappeared under suspicious circumstances or were just never heard from again. A missing persons report may have been filed for them with the sheriff or local police agencies, but others perhaps were never reported because the person left on his or her own, was not missed for some time, or the family is fearful of law enforcement. Nellans said JP was a very bright boy and athletic but had gone down a bad path. He disappeared shortly after returning home from a stint at the California Youth Authority. In those years, he said he would think often of his son especially on his birthday and holidays. JP’s mother and sister died in recent years never knowing what had become of him. Nellans hopes to move JP from the cemetery where he was buried to a spot in the family plot. While the news was “heartbreaking and very, very difficult” and he has cried a great deal in the past month, Nellans said that it is better than not knowing. He said that is why he was willing to share his story and reach out to families like his for the Identify the Missing event. 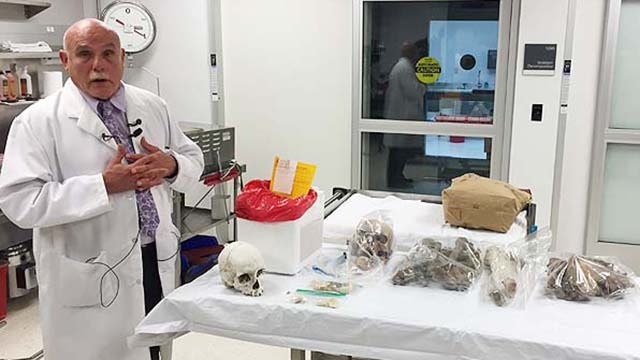 Supervising Medical Examiner Investigator Michael Ellano, who coordinates the ME’s John and Jane Doe Center, was the primary investigator working on the case.